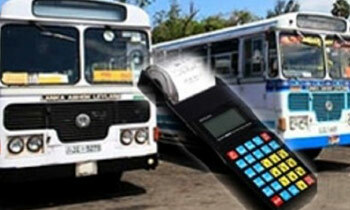 The Cabinet had granted approval to increase bus fare by 6.28 percent from July 1, Transport Minister Nimal Siripala de Silva said. He said the approval had been given during the Cabinet meeting held today. Accordingly, the minimum bus fare Rs. 9 will be increased to Rs.10. It was effectively Rs10 minimum fare - never received Rs1 change. Neither do they give the change, nor do they issue any tickets. But there is a poster in the bus stating that passengers travelling without tickets could be prosecuted. The minimum of Rs. 10/- has been effective since the last hike, unofficially of course, like Bala says, they never gave us the change!!!!! Still our public transport us decades behind. Never sure of when a bus will arrive or if it will ever arrive. And no/useless shelters for passengers waiting for the bus. Somedays buses take around 1.5hrs!! !